The process of transferring yarn from small packages like hank, bobbing etc to a large package such as cones, pirns, cheese etc, containing considerable length of yarn is called winding. 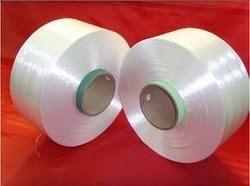 The suitable package is used for proper winding are called winding package. Winding packages are used to remove objectionable fualts in the yarn like slubs, thick place, thin place, doubling yarn etc. In this type of winding the yarn is wound parallel to each other on package containing flanges on both sides. This type of winding does not require traversing guide. These are double flanged bobbins,also known as warper’s bobbins on which yarn is wound in such a way that the coils of yarn are laid parellel sided or barrel shaped,Flanges are needed on either sides to support parellely laid coils.If flanges are not provided then coils at the two ends will COLLAPSE. 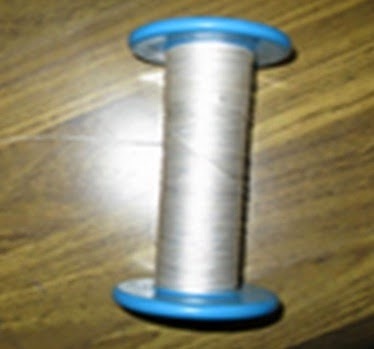 To withdraw the yarn from these packages,package has to be rotated by pull of yarn.Hence high unwinding speed will lead to excessive unwinding tension & yarn will break.Also as the unwinding is stopped the package continues to rotate due to its inertia,hence yarn may continue to come out from package.So this package is not suitable for the process taking place at high speed. This package contains one or more threads which are laid very nearly parallel to the layers already existing on the package. This type of package contains a single thread which is laid on the package at an appreciable helix angle so that the layers cross one another to give stability. In this case the yarn is wound on cylindrical tubes or conical tubes.The yarn is laid on this in form of helices at the two extremes. In this type of winding the yarn wraps cross one another hence these packages are called cross wound packages.Because of laying in cross fashion there is no possibility of yarn coils collapsing at the two extremes.Hence these packages do not need flanges. The cylindrical cross wound package is known as CHEESE & the conical one as CONE. The yarn can be withdrawn from cone & cheese overend (& side ways unrolling also).The over end withdrawal allows unwinding at high speed without extreme increase in tension.Rotation of package for unwinding is not essential hence the unwinding from package stops almost at the same instant when withdrawal is stopped. For some special cases yarn is required to be withdrawn side ways also. 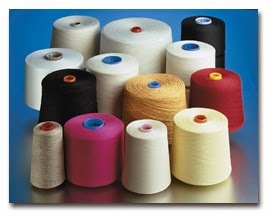 Bobbins may be made of card or plastic, the latter being perforated if the yarn is to be package dyed. Parallel-sided cheeses have tubular bobbins. For cones, the bobbin is of a conical form, i.e., a truncated cone; the angle of taper — the semivertical angle — depends on the end use for the resulting package. Table 1 lists four common tapers. The wound cone package may have a fixed taper, which gives it flat ends, in which case the package is referred to as straight-ended. 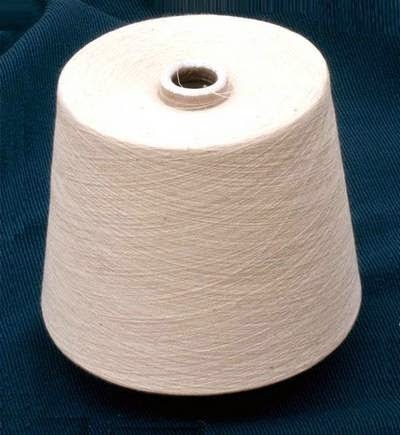 Cones may also have an accelerated taper, where the taper of the package is greater than the bobbin, resulting in a concave end at the top (the nose) and a convex end at the bottom (the base) of the package. These are called dished ends.